For the Honolulu Century Ride we need volunteers with many different skills. So we can find a task for everyone who wants to help out. There are tasks before, during, and after the event. So even if you plan to ride, you can still lend a hand! Have a group of volunteers? Or other questions? Feel free to contact events@hbl.org or call 735-5756. Volunteers will receive a HBL volunteer t-shirt. Food / Drinks will be provided for longer volunteer tasks. At GP Roadways – 660 Mapunapuna St we will staple signs to a-frames to prepare for event. Stuffing the rider packets (numbers, route information, goodies …), and setting up merchandise at Ala Wai Club House. HCR Riders can pick-up their packets and buy ride merchandise on Friday and Saturday at Ala Wai Club House. Divided into 4 shifts we will friendly guide the riders through this process. At the HBL Office we will load the equipment for the aid stations on the supply trucks. For the start and finish zones in Kapiolani Park we will set up all the tents, banners, signs and equipment for a successful and smooth HCR on Sunday. Early morning before the start we set up the audio system in Kapiolani Park to provide the riders with all the important information and to entertain everybody with cool music. We will prepare the start zone at Kapiolani Park so everything is in place when the riders arrive and there are no complications at the start. There will be an ‘official use only’ parking lot at Kapiolani Park. We need to check the parking passes of incoming cars and make sure everybody (pedestrians, riders, cars) moves safely in the lot. We can also provide directions if somebody gets ‘lost’. At the start in Kapiolani Park we provide a station where riders can pick up their packets or even register for the ride if they didn’t have the chance to do it the other days. Though it is early morning we guide them friendly through the process. We will set up the archway in Kapiolani Park and move it after the start. The start in Kapiolani Park will be divided in three zones. We make sure that every riders finds the right zone for himself depending on his expected average speed and riding experience. The zones will start with time gaps in between. That is why we keep it cool and organized during the start as some excited riders may need some guidance. Kapiolani Park General Help, Kapiolani Park, Sunday, Sep 30, 7 AM – 11 AM Once the riders are out on the course, we need help moving the archway and barricades to the finish and prepare for our riders return. At the merchandise tent in Kapiolani Park we help people to find nice gifts and souvenirs. We are looking for two bilingual volunteers per shift to provide high quality service for our Japanese participants. At the information tent in Kapiolani Park we provide all the information about the HCR and HBL and help out people in need. We are looking for at least one bilingual volunteer per shift to translate for the many participants from Japan. For the Iron Okole Challenge we record the ridden miles of each team member at the finish line in Kapiolani Park. The team with the most miles wins! The command center in Kapiolani Park makes sure the event is safe for everyone and rolls out as planned. Here, all lines come together and in case of an emergency or a hazard the proper measurements will be taken. We support the officials, who are working hard to make the HCR a pleasure for all participants. What a great day it was! But work isn’t over yet. We need to clean up the start and finish zones in Kapiolani Park and remove the tents, banners, signs and equipment. The more people help the faster we’re done. We drive along the course and deploy all the signs to ensure safety and directions for the riders. We will drive to the aid stations of the course and drop off the equipment and supplies there, then go pick them up. There will be a break between drop off and pickup. We get a magnetic sign for our vehicles so everybody knows we are Course Marshals. Along the course we are the eyes of the HCR Command Center and make sure the event is as safe as possible. We care for riders who need help or assistance. Equipped with basic tools we repair minor mechanicals or flats. We provide help (drinks, snacks, medical and mechanical support) for the returning riders at Kapiolani Park and make sure everybody is comfortable and safe. We provide help (drinks, snacks, medical and mechanical support) for the riders at Sandy Beach Park in Hawaii Kai and make sure everybody is comfortable and safe. We provide help (drinks, snacks, medical and mechanical support) for the riders at Kailua Intermediate School in Kailua and make sure everybody is comfortable and safe. We provide help (drinks, snacks, medical and mechanical support) for the riders at the Seven Eleven aid station in Kahaluu and make sure everybody is comfortable and safe. We provide help (drinks, snacks, medical and mechanical support) for the riders at the aid station at Swanzy Beach Park in Kaaawa and make sure everybody is comfortable and safe. We provide help (drinks, snacks, medical and mechanical support) for the riders at JAIMS (Japan-American Institute of Management Science) in Hawaii Kai and make sure everybody is comfortable and safe. We provide (drinks, snacks, medical and mechanical support) for the riders at the aid station Maunalua Bay and make sure everybody is comfortable and safe. We provide (drinks, snacks, medical and mechanical support) for the riders at the aid station Wilson Elementary and make sure everybody is comfortable and safe. After the last riders are through we pick up all the signs along the course and bring them ‘home’. We unload the aid station trucks at the HBL office. At our Aid Stations we provide medical support for all participants along the course. 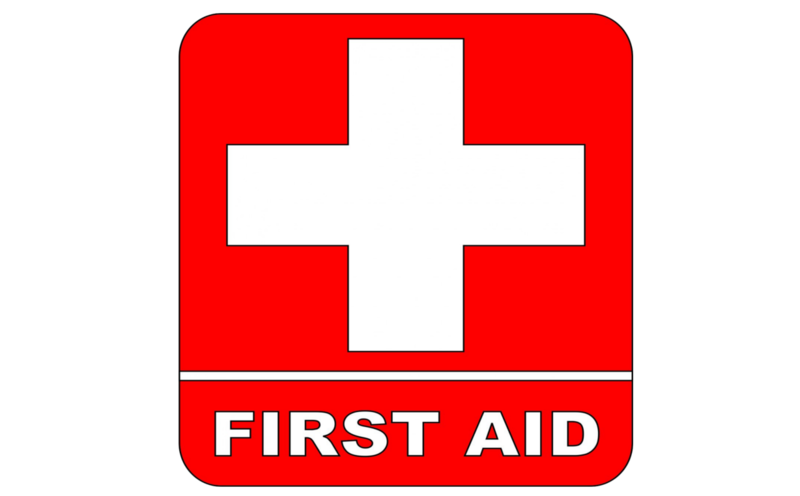 Therefore we need volunteers with a medical background like physicians or paramedics to guarantee high-quality first aid in emergency situations.